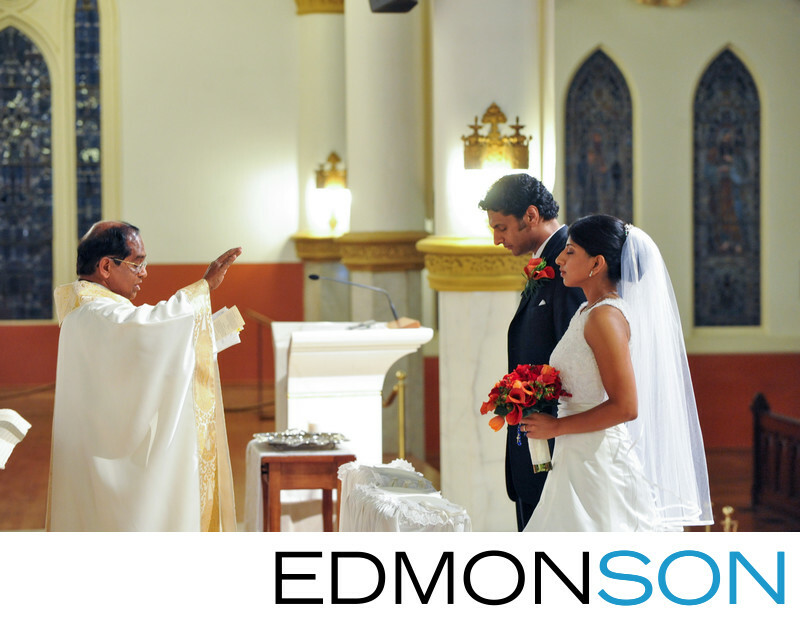 Indian Catholic priest performs ceremony for South Asian couple at The Cathedral Shrine of the Virgin of Guadalupe in Dallas, TX. Location: The Cathedral Shrine of the Virgin of Guadalupe. 1/60; f/3.5; ISO 3200; 110.0 mm.